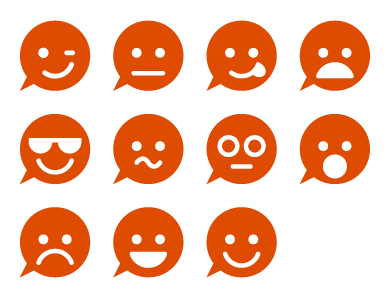 Can we have the Ubuntu emoticons on the general chat room? They break the flow of text. They tend to be larger than normal characters, making the line they are in taller and so inserting spaces between lines. Unnecessary overhead (OK, extremely minor issue). Ugly (very personal choice of course but there you go). If we're going to add something to chat let's make it useful, something like having code blocks displayed with a different background like this so we could easily paste commands in chat. As it stands, we just get a fixed width font, no background and it is easy to get confused. Do we have a policy on smileys?